As soon as K turned 14 months, I let her join a playgroup that is conducted in our condominium’s playroom twice a week . K happens to be the youngest right now in the group while the oldest is 2 years and 4 months. I just love the kind of stuff they do: sing nursery rhymes, read books and also have an arts and crafts session. Although these children are too small to actually create themselves, with help from their teacher and their guardian attending the playgroup session with them, they create some lovely stuff. In the past one month, K has created 4 beautiful pieces of art Masha Allah that I am so proud of. Now, I was saving all these little pieces of art in an ‘art bag’ but I realized that in the months to come, she will be creating many more small projects like this and I need to somehow preserve them. So I have decided to convert these small projects into one bigger project: The ABC Book. 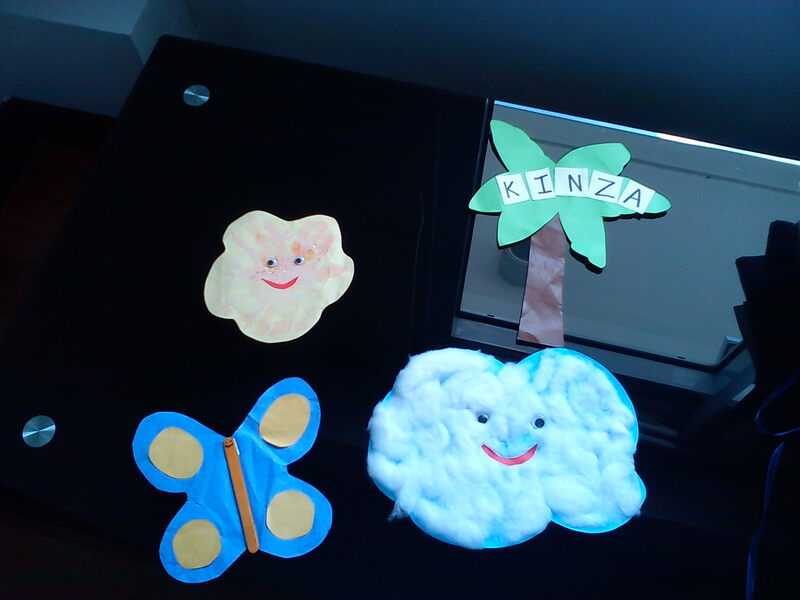 And we already have 4 pictures to go into our book: B (Butterfly), C (Cloud), S (Sun) and T (Tree). Get a file folder big enough to accommodate these pictures if 1 of them is pasted on one page. Get construction paper to write letters. Get stickers to decorate and have fun! I can also do separate posts on how to create each of the above art pieces. Let me know if you want me to do so. Else, I will just post when I will have these 4 letters in my ABC book insha Allah. Note: I have a firm belief that Mushkil Kusha is Alllah (SWT) alone, ‘Bolo Ali Ali’ is just a a song and thats how I treat it. I was I think 7 or 8 years old when I first heard Sajjad Ali singing ‘Bolo Ali Ali’ on a vacation trip to Karachi and the tune was so catchy that I not only liked it but would also sing it the whole day (I dont torture people any more by singing 😛 ). One day I was singing ‘Kiya khaybar Fatah, woh hai mushkil kusha, bolo Ali Ali’ while having dinner when all of a sudden my nana asked: Do you know who was Ali (RA)? Me: Obviously, he was the Prophet’s (SAW) cousin, a very brave soldier. Nana: (smiling) Ummm ok and do you know what he did at Khayber? Nana: I mean what happened in the war? Or after that? This is what the back cover of The Prophet Muhammad: A Biography by Barnaby Rogerson read and I immediately knew I wanted to read this book. Ofcourse, a lot of people raise their eyebrows when they find out that I like reading about Islam and Islamic History in books written by non-muslim writers and I am also often criticised for not reading proper text but if I am reading these books, does it mean I am not referring to the holy scripture or books written by some of the most authentic muslim writers? Definitely, no. 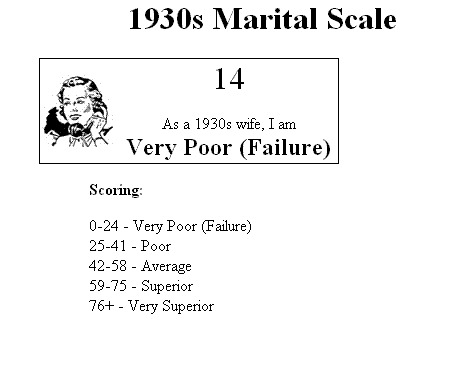 So, anyway, back to the topic. Rogerson, as I have stated above, is a non-muslim and is by no means a religious scholar. He is a story teller and as he says in the preface, he has written this book for the love of the Prophet (SAW), with utmost respect. He moves on to say that he would like to remain a non-muslim but he “was on the side of a good story.” He adds that “The life of the Prophet Muhammad is a story of overpowering pathos and beauty. It is history, tragedy and enlightenment compressed into one tale.” [This would remind you of the Prophet’s (SAW) uncle Abu Talib, who despite loving his nephew and protecting him in every sense was never able to enter Islam because of his stubbornness] Rogerson has written the book with a lot of affection and never while reading the book you would feel its been written by a non-muslim. I bought this book nearly 4 years back and have already read it thrice. Its a small hardly 250 pages book and thats where the problem lies. Rogerson has tried to cover almost all aspects of the Prophet’s (SAW) life, which means you either need to have some real good knowledge about certain incidents or refer to the lenghty bibliography to truly understand the context. In addition to this, there might be a few incidents talked about in the book which are a little different from what we believe in. If you havent read any biography of this great man, this one should be a great starting point. If you have already read plenty, this would only intrigue you to know further.